30-year old Slovenian cross-country skier experienced bad luck during the warm-up training before the race as she fell on one of curves, skidded off an icy downhill descent and landed in a creek bed. Although she suffered grave pains after the fall she was determined to participate at the qualifications race which she ended on 19th place although she started the race as the last one among competitors. After the fall on the race track she was taken to the hospital for X-rays, but she was cleared to compete after doctors determined that no bones were broken. Ms. Majdič who had collected 30 victories in her career before Vancouver games entered cross-country skiing finals proving once again her strong will and surprising everyone with her determination. 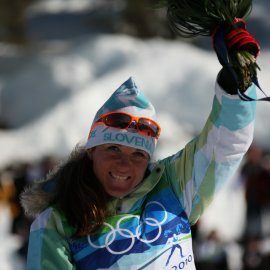 She had to admit supremacy only to two competitors despite competing heavily injured: the Olympic winner Marit Bjoergen of Norway and the silver-medal winner Justyna Kowalczyk of Poland. Winter Olympic Games were over for Ms. Majdic after winning bronze. A second visit in the hospital after the final race showed that she has four broken ribs and a collapsed lung. 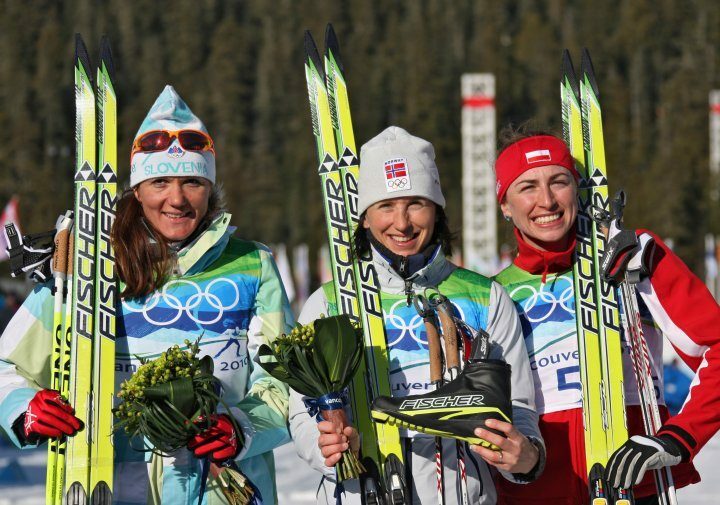 Slovenian cross-country skier Vesna Fabjan and Katja Višnar also competed in the final race in Whistler. Ms. Višnar ended the race 16th, Ms. Fabjan 23th.